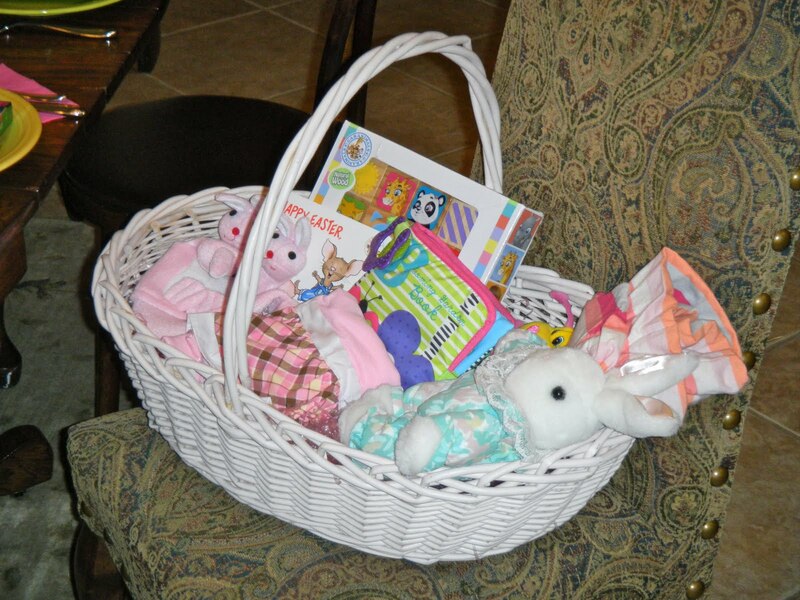 Seems like it wasn't very long ago that we spent Easter anticipating Kate's arrival. 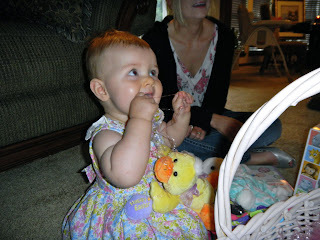 I remember vividly being very pregnant last year around this time for Easter filled with anticipation of what type of little girl we would soon have. 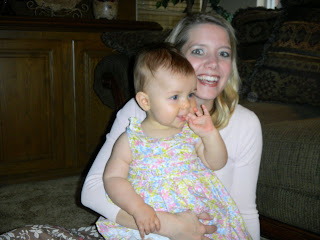 Hard to believe how fast time has flown. 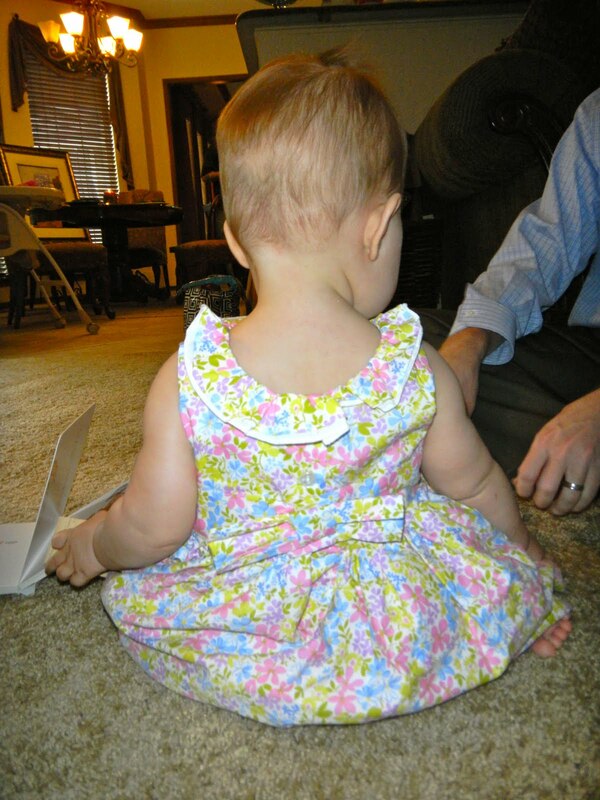 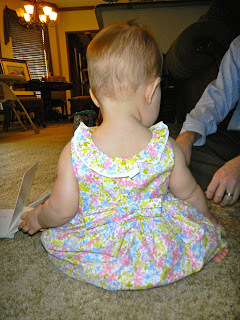 Here's a few pictures of Kate from today in her first Easter dress. She looked adorable but wouldn't let mom put any bows in her hair. 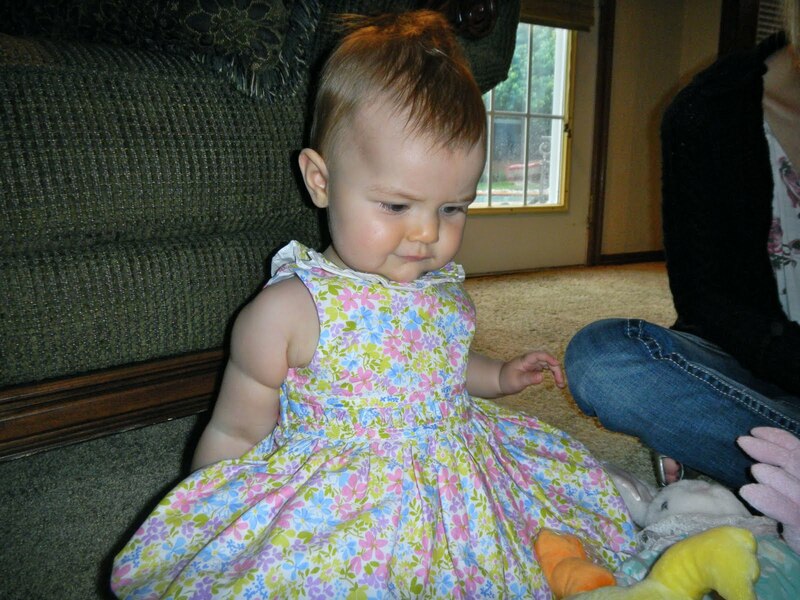 At 10 months now, she's mastered pulling them off immediately. 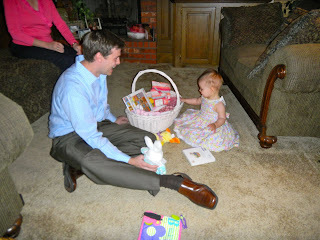 We awoke this morning and surprised Kate with a little basket of Easter goodies and then went to church with Kyle's family. 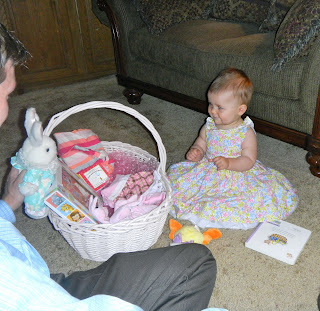 After church, we went over to Grandma and Grandpa's for lunch and to see what the Easter Bunny dropped off there ; ) Kate also got a special gift in the mail from Mimi and G-Paw (my parents) with an assortment of Easter goodies. 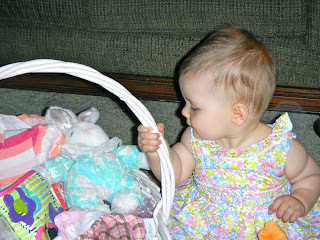 Despite a basket full of fun stuff, I think she was more interested in the decorative grass that filled the basket. 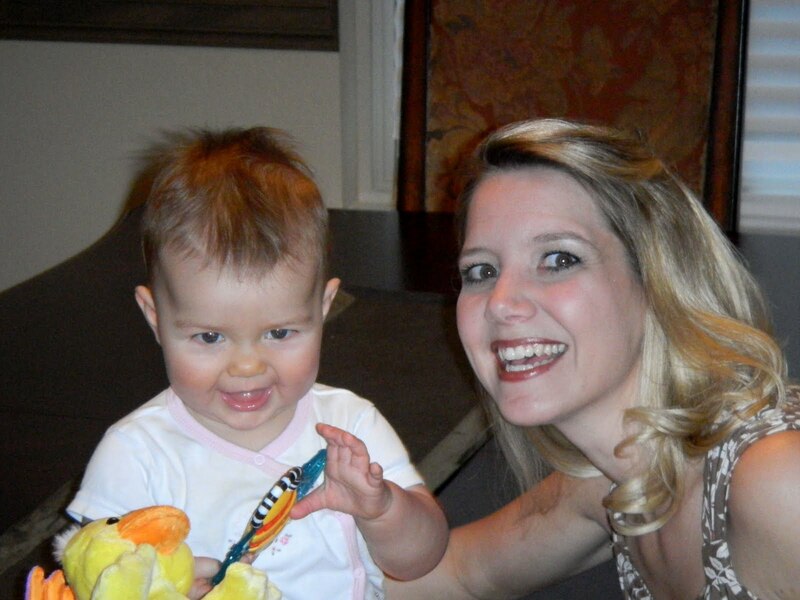 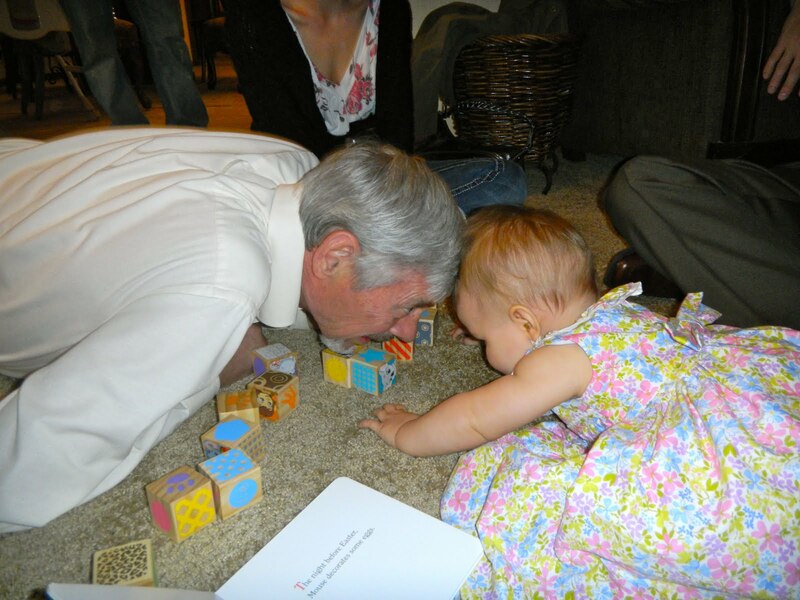 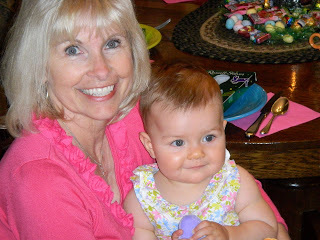 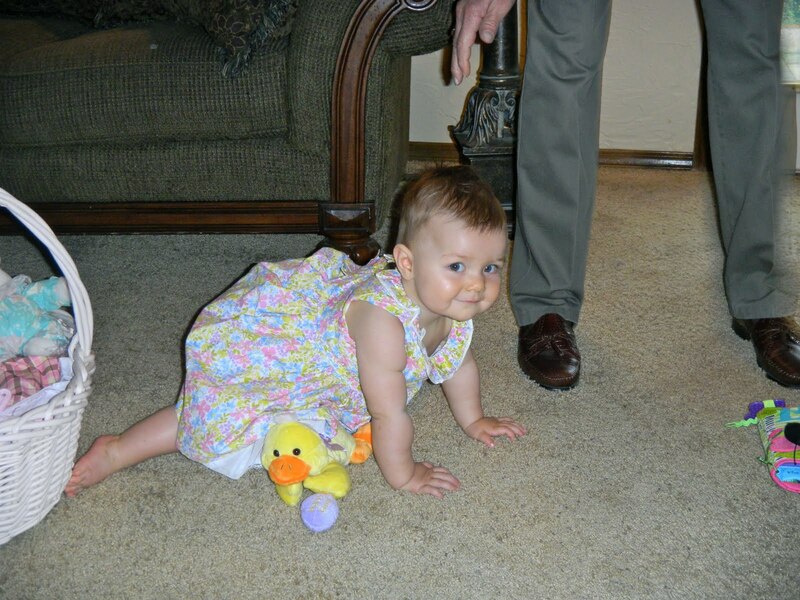 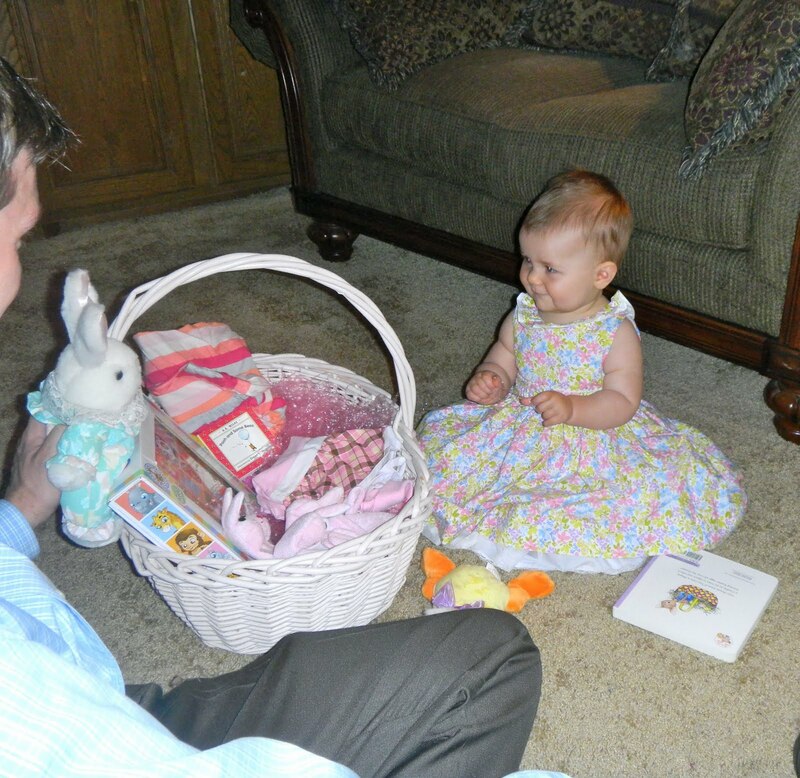 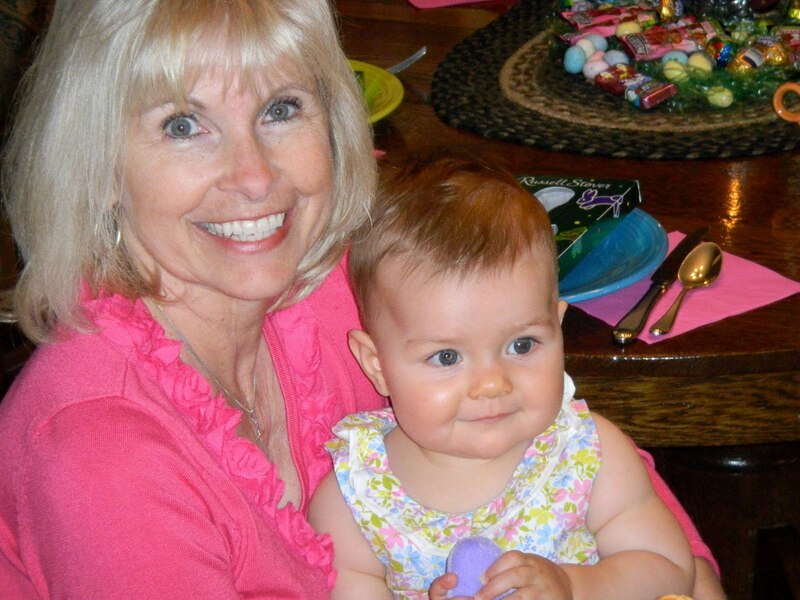 Kate is such a blessing in our lives - our first Easter together was very special! It's a sad day when they resist the bows. 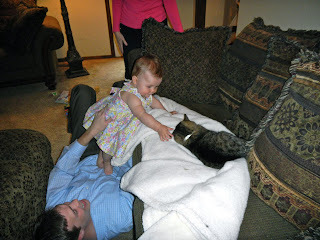 :-) I failed to condition Bailey when she was very young so she never would tolerate them. She's a cutie and I know time has flown during this past year with her to keep you on your toes!